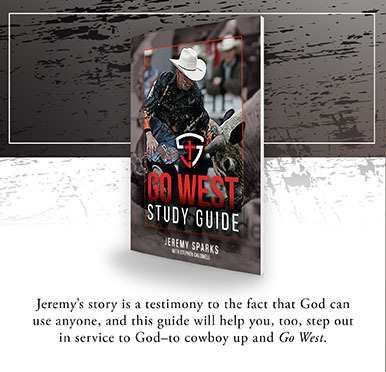 In February, Elevate Publishing released Jeremy Sparks’ debut book, Go West – 10 Principles That Guided My Cowboy Journey. This concise and inspirational story has already been picked up around the world and is available at all major bookstores and online retailers. While Go West is certainly about rodeo, the entertaining read proves with faith, all things are possible. Go West is more than a book title; it is a life mission to Get Out, Witness, Encourage, Serve, and Testify. 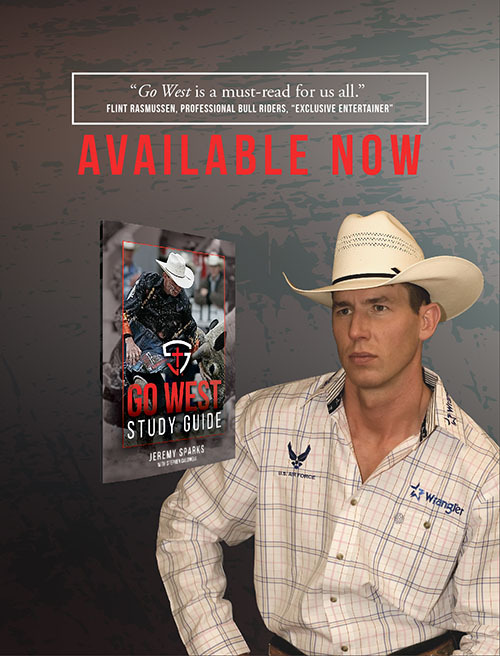 On May 9th, Elevate Publishing will release the Go West Study Guide. This five-week companion guide is designed to take readers deeper in their journey of faith. Each session reveals one step of the Go West mission using a unique, interactive experience. Through real-life examples, thought provoking questions, and weekly challenges, readers will be equipped to cowboy up – and Go West. For a limited time, orders of Go West through www.elevatepub.com will receive a FREE Go West Study Guide. Enter GoWestBundle at checkout for offer. For more information visit www.jeremysparks.com.